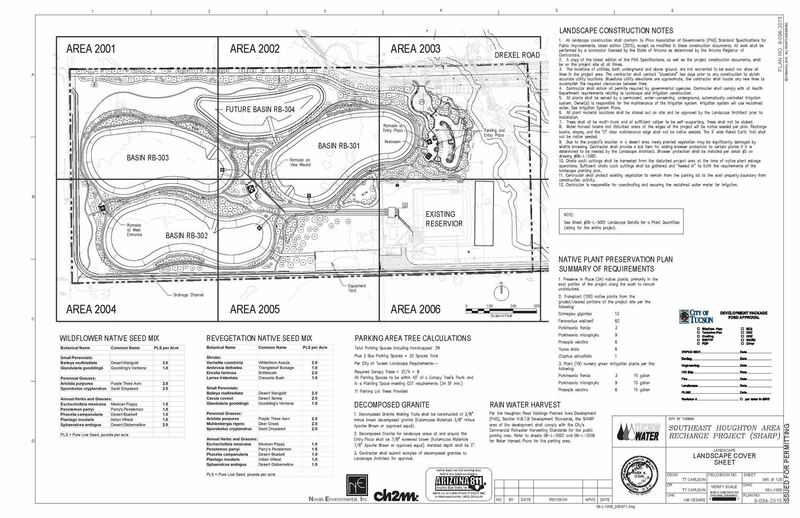 Change is coming to Fantasy Island (again)! 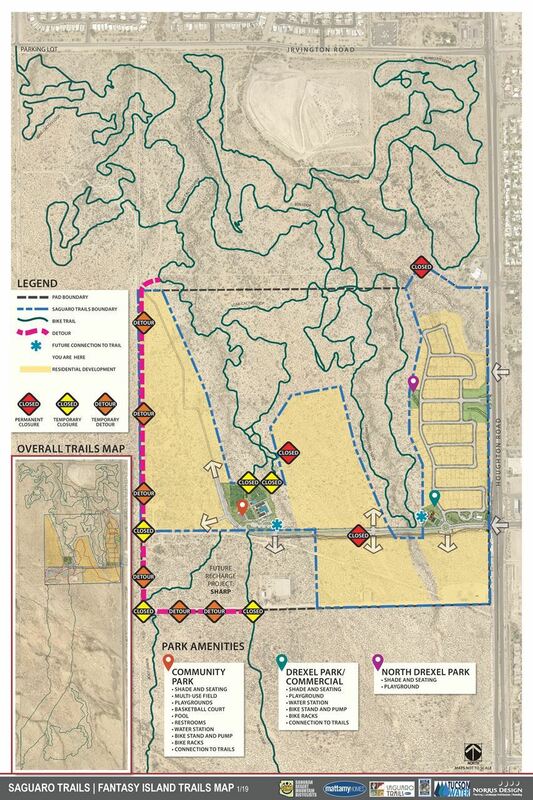 Tucson Water and Borderlands Construction have already started work in the area, and they expect to close off the designated part of the Bunny Loop (see the map below) as early as 2/25/19. We hope to have a marked reroute in place which is also on the map. Please respect all closures and reroutes and stay out of the construction area. We don't know exactly how long construction will take, but it will be several months at minimum. 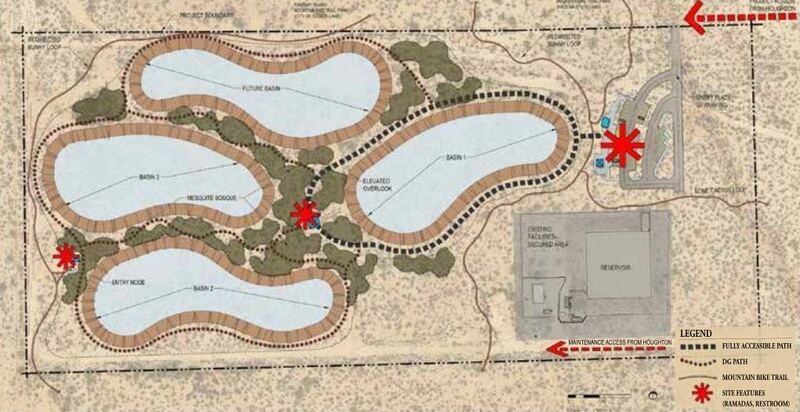 The good news is that when it's done, there will be riparian area in Fantasy Island with amenities like benches and ramadas! The Bunny Loop will pass through the SHARP park and around the recharge basins, and the reroute will remain in place for a high-speed bypass.